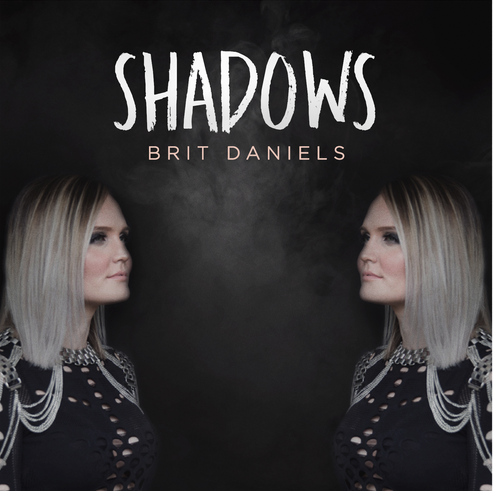 Up and coming Nashville-based pop star Brit Daniels is proud to debut her new single, “Shadows,” which premiered last week on PopDust. The vibey song illustrates the empty feeling you feel after enduring a major heartbreak and how you still feel the remnants of what you’ve lost around you; in this case, it feels like the emptiness lies in the shadows. Check out the single now on Spotify. “Shadows” is now available at all digital retailers – iTunes, Spotify, Apple Music. Brit Daniels intertwines energetic pop with vibrant elements of rock and EDM to create a sound that completely encompasses everything about her. Born and raised just outside of Dallas, TX, her talent was solidified at the ripe old age of two when her mother caught her belting out Twinkle Twinkle Little Star in their backyard. Daniels really began honing her craft and truly understanding herself as an artist when she began recording in local studios, performing in various talent shows and competitions and singing the National Anthem for several Texas Rangers baseball games. Daniels picked up her life after completing a degree in Radio, Television, and Film from the University of North Texas and an internship in radio to move her journey to Nashville to begin working at a well-known label and management company in order to learn how the business aspect of music works. Splitting her time between Nashville and Los Angeles, Daniels has worked on projects with producer Jordan Galvan (30 Seconds to Mars, Evanescence) and producer/writer Jonathan Perkins (The Chainsmokers, Jay Sean, Big Time Rush), as well as Mike Malchicoff (Kanye West, Kirk Franklin, F.U.N. ), Dale Becker (Cam, Macklemore & Ryan Lewis, Michelle Williams), and writers Phil Barton (Sara Evans, Cassadee Pope, Lee Brice), and Lindsay Rimes (Troye Sivan, The Summer Set, Drake White). Music has always been the constant in Daniels’ life. From her mother putting headphones on her belly while pregnant with Daniels to her first instrument given to her by her father, she knew becoming a musician was her fate. However, when Daniels was a freshman in college, the unexpected happened, and her father passed away due to injuries sustained from a car accident while he was on duty as a police officer. Through this experience, Daniels started refining who she was an artist and the stories she wanted to tell. Her first single, “Eulogy” shows that troubles you face can break you, but it’s up to you to move on, find the good, and see that you might be better off in life because of them. In her father’s death, Daniels found her strength and her passion ignited. Thriving on an outgoing and bubbly personality, she’s not afraid to dig deep and delve into anything that life throws her way.